So awesome! Would be a great bday present! These giveaways are the best! Who doesn’t love a Target gift card?!?! Could totally use a gift card! Like you on facebook already! Fingers crossed! Love the site.. Love Target.. LOVE TO WIN!!! I like totally target already on FACEBOOK! Would love to win this neat card! Love this site and Target! Looks like another fun card. Thanks! This would be awesome right now. 🙂 thanks for the chance! you are always making things fun! 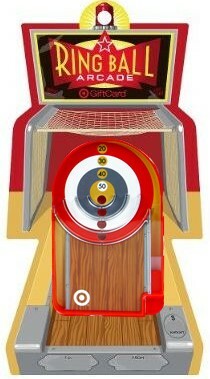 Would love this – I love target!! What a super cool card!!!!! I would really love to win this great gift card. I like Tottaly target on facebook.